Add sago into 1 litre boiling water and simmer for about 10 minutes. Turn off the stove, cover the pot with lid and let the sago continue to cook on its own for about 10 minutes, until all the sago turns translucent. Drain the cooked sago, rinse under running water to remove excess starch. Set aside. Cut fresh mango into small bite size cubes and set aside in fridge to keep cold. Peel pomelo and remove and separate sacs – store in fridge to keep cold. 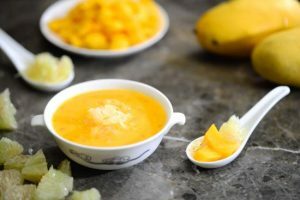 Add cooked sago pearls to the mango mixture. Chill in fridge until ready for serving. 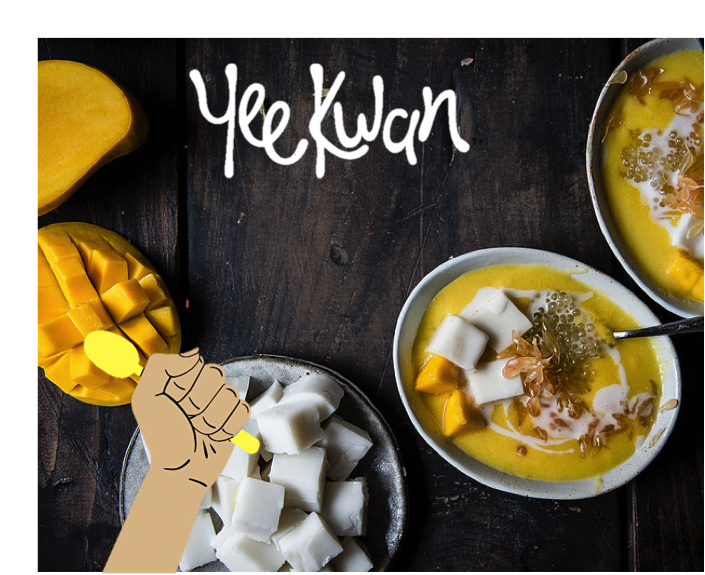 To serve, portion out to individual serving bowls and garnish with the chilled pomelo sacs and cubed mangoes.